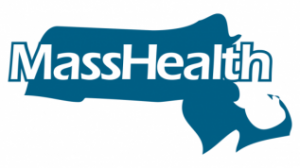 A state health insurance assistance program that provides to Massachusetts residents of any age who have Medicare free health insurance information, counseling and assistance to Massachusetts residents with Medicare and their caregivers. Is administered by the Massachusetts Executive Office of Elder Affairs in partnership with elder service agencies, social service and community based agencies and Councils on Aging. In Massachusetts, Medicaid and the Children’s Health Insurance Program (CHIP) are combined into one program called MassHealth. MassHealth members may be able to get doctors visits, prescription drugs, hospital stays, and many other important services. The federal health insurance program for people who are 65 or older, certain younger people with disabilities, and people with End-Stage Renal Disease (permanent kidney failure requiring dialysis or a transplant, sometimes called ESRD). All the services of the office of Financial Counseling & Community Liaison are free of charge and confidential. A leader in the fight against HIV/AIDS. Provides health and wellness services, including peer support, housing, legal services, rental and utility assistance, behavioral health counseling, and client advocacy and case management. Please note: There is more information on Home Services topics in the Additional Notes section on this website. This requires a log in to access confidential information. A Medicare-certified home health agency dedicated to providing outstanding quality, physician-directed home health services to patients on the North Shore. Specializes in providing a full continuum of in-home services through its VNA, Hospice and Private Care Services which supports independence, safety and caring. From skilled nursing and rehabilitation therapy to hospice care to private services, All Care offers solutions, resources and assistance to each patient and family ensuring quality of life at every phase of need. HOME HEALTH VNA MERRIMACK VALLEY HOSPICE HOME CARE, INC.
Home Health VNA Merrimack Valley Hospice Home, Care, Inc.
A local not-for-profit agency, serving the community since 1895. Providing a full continuum of care in the home – from supportive services to skilled nursing and rehabilitation to end-of-life care. Provides the care you need, from general care to highly specialized services for managing chronic conditions. Many services are covered by Medicare or your health insurance. Other services may be paid out of pocket or with other insurance. Learn more about paying for home care. 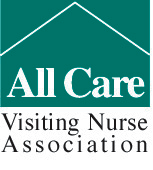 People turn to VNA Care during times of illness or injury so they can remain where they most want to be — at home. Expert clinicians bring state-of-the-art care, education, and support into patients’ homes to help them reach their health care goals. 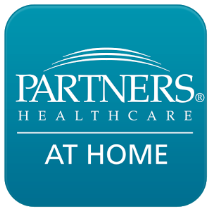 Please note: There is more information on Home Care/Private Home Care Services in the Additional Notes section on this website. This requires a log in to access confidential information. Amesbury, Andover, Billerica, Boxford, Chelmsford, Dracut, Dunstable, Georgetown, Groveland, Haverhill, Lawrence, Lowell, Merrimac, Methuen, Newbury, Newburyport, North Andover, Rowley, Salisbury, Tewksbury, Tyngsboro, Westford & West Newbury. Please note: There is more information on Hospice/Palliative Care topics in the Additional Notes section on this website. This requires a log in to access confidential information. A community of caregivers dedicated to excellence in end-of-life care for the patient and their families. Respecting patient choice, providing comfort and promoting dignity. The largest hospice in Massachusetts and offers a continuum of clinical care for adult and pediatric patients with advanced and life-limiting illnesses and provide support for their families and caregivers. No one is denied care because of financial status, level of insurance coverage or ability to pay. Provides comprehensive home health and hospice care. Fosters and promotes the health of individual, family and community through education and compassionate, high quality services. A list of housing options for the following categories are listed in full detail in the Additional Notes section of this website: Assisted Living, Veteran’s, Supportive, Congregate, Continuing Care Retirement Communities, and Subsidized (Housing Authorities for North Shore cities/towns). Please note: the Additional Notes requires a log in to access confidential information.